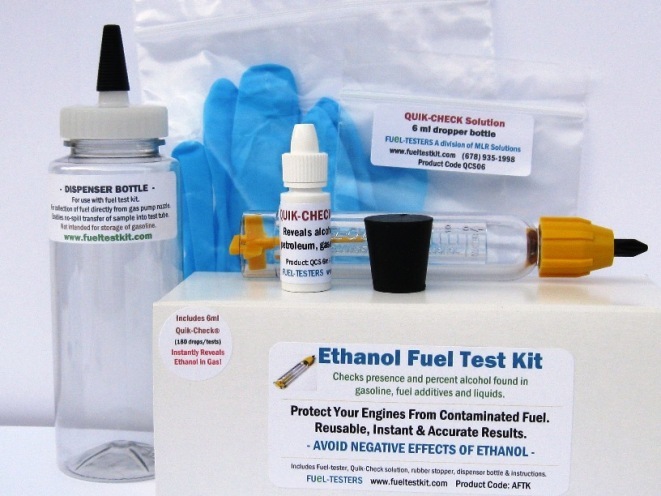 Order page - Ethanol Alcohol Fuel Test Kit. Main Order Page-Deluxe Alcohol Fuel Test Kit + Complete Basic Kits. Our most popular test kit. Click on buy now link and choose quantity. For Paypal buy now links below. (EG. Marine, Aircraft, Diesel and other specialty type fuels). When results are positive, fuel tester will reveal exact percent of alcohol present. Note: Even very small amounts of alcohol (additives) and water in tank will reveal a positive quik-check result. 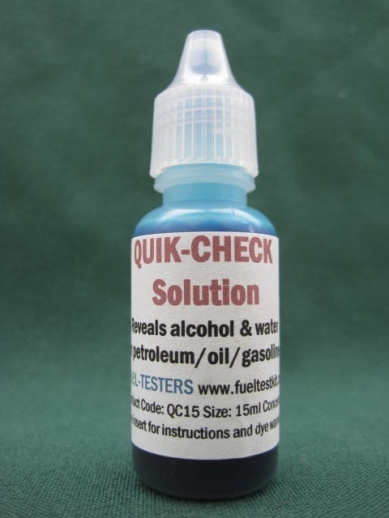 Beware of imitations: Our exclusive Quik-Check Solution is offered only by Fuel-Testers Company and our registered dealers. Click on Buy Now button above to order. To order a quantity not listed, please email us and we will send you a credit card invoice. Orders can be placed online or by email or phone (631) 532-9447. Additional discounts may be available when ordering more than 10 kits. Instantly reveals gas alcohol and water content (bright blue). Gas sample tested that does not contain alcohol or water. Blue QC solution drops to bottom, gas (and other oil-based liquids such as additives) will remain yellow. Sample does not turn blue. QCS is ideal for testing gas at pumps that do not have an E10 sticker label and/or to confirm marine grade, aircraft, diesel and stations advertising sale of "ethanol-free" gasoline, do not contain any water or alcohol. View more product and test result images. Pocket-sized. Re-usable. Simple. Easy. Accurate. Fast! Fuel-tester will last a lifetime - Even when used everyday. Guaranteed! 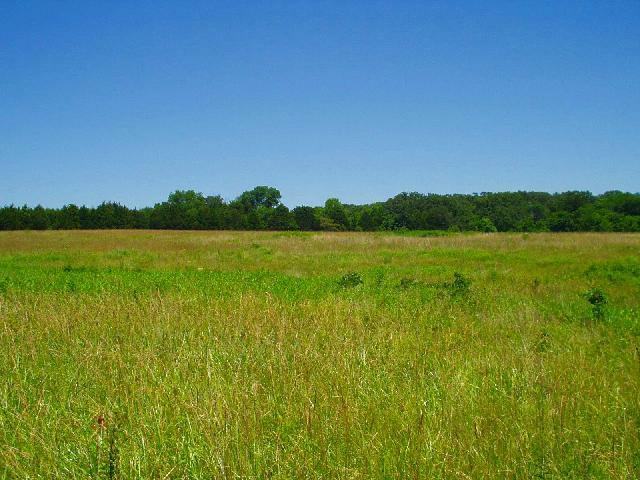 fuel distributors, repair shops, mechanics, auto and insurance clubs and more! 87/89/90/91/93 octanes and more. * For reading above E30 request removable label. Does not include tester stand - Includes smaller 6ml size size bottle Quik-Check Solution. Disposable gloves; Detailed testing instructions. Does NOT include copper tester stand, (used for easy hands-free testing and display). AFTK06: List price $29.95 ea. All products contained in our kits are available individually. Choose quantity 2+ for volume discounts.